The elbow is called a hinged joint, because it moves like a hinge. 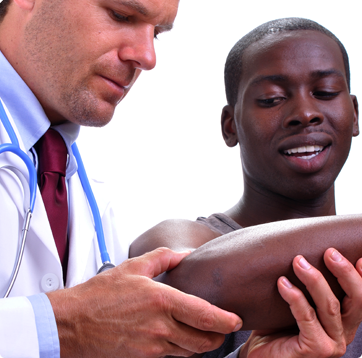 The elbow is made up of three bones, the humerus, ulna, and radius. The ligaments of the elbow inside and out, called the medial collateral ligament, and the lateral collateral ligament, provide stability and mobility. Trauma, sports injuries, repetitive stress, conditions such as arthritis, and work-related injuries are all common causes of elbow pain. At New England Hand Associates, treating elbow conditions and injuries is part of our commitment to addressing the full range of your upper extremity needs – from fingertips to shoulders. Our surgeons perform a variety of elbow procedures to treat conditions and injuries affecting the ligaments or tendons surrounding the elbow. 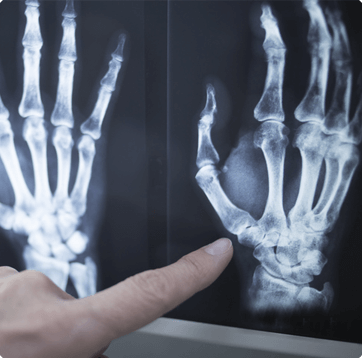 These conditions can cause pain that radiates down to your wrist and fingers, so it takes a specialized, upper extremity orthopedic surgeon to properly diagnose your problem and recommend the best treatment for you. We assist patients requiring elbow ligament repair or reconstruction, nerve decompression and transposition, and reconstruction or replacement of the elbow joint. (508) 872-7881 . We’ll see you in one of our convenient offices in Framingham, Milford, or Concord.